The 5B “Chop-Out” features a hickory shaft with an elongated taper to simulate the balance of the 5B. The rubber tip creates an authentic feel, making it an ideal choice for practice wherever you desire! 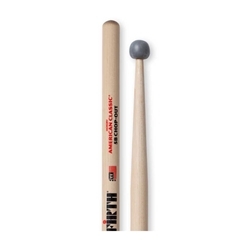 Also creates interesting timbres when played on drums and cymbals.